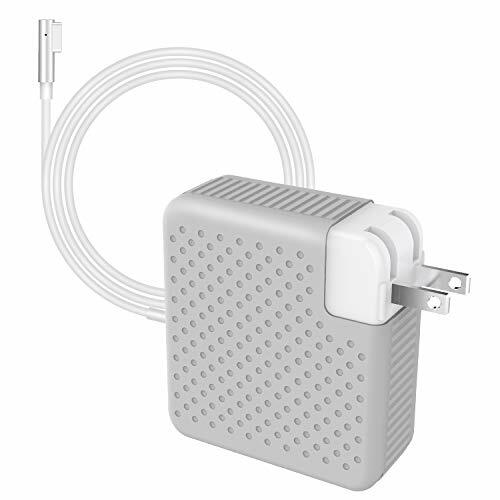 3.This is the first generation of magsafe power adapter, please check clearly your MacBook model before buying! ※If you have any need, please contact us freely. ►WIDE COMPABILITY: Apple MacBook Pro-13", (13-inch, Mid 2009), MacBook (13-inch, Mid 2009), (13-inch, Early 2009) ,(13-inch, Aluminum, Late 2008, (13-inch, Late 2008), (13-inch, Early 2008), (13-inch, Late 2007), (13-inch, Mid 2007), (13-inch, Late 2006), (13-inch), MacBook Pro (13-inch, Mid 2012), (13-inch, Late 2011), (13-inch, Early 2011), (13-inch, Mid 2010), (13-inch, Mid 2010), (13-inch, Late 2009). ►WARRANTY: MITIME provides one month money return guarantee, one year warranty and 24Hx7 e-mail support.